As the only social enterprise focused on scaling a solution to the depression epidemic on the subcontinent, StrongMinds is laser-focused on impact. 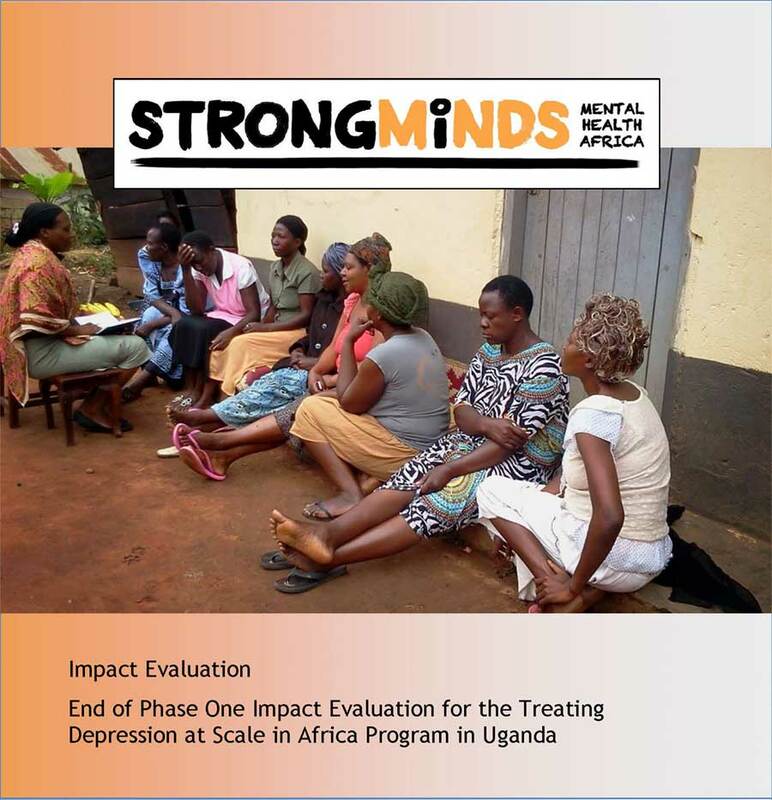 Since starting fieldwork in 2014, StrongMinds has reached thousands of depressed women in Uganda. After 12 weeks of treatment, at least 90 percent were free of symptoms. Two-thirds of the groups continued to meet on their own. This StrongMinds group member (pictured left) was abandoned by her husband—but she found support from her fellow group member and over-came her depression, and today is symptom free and supporting her family. Women’s lives are improved in various ways once they become depression free. Women in our group therapy programs see more than their depression lift. They, and their families, benefit from rising employment levels and a corresponding uptick in income. The number of women who spent more time working in their primary occupation increased by 20 percent; these women reported far greater satisfaction with their jobs. Sophia (pictured right) overcame her depression in a StrongMinds therapy group. 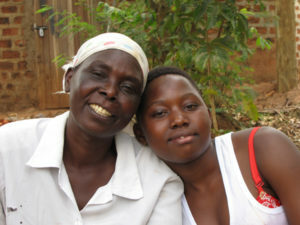 Today, she sells food items in the Bwaise Slums of Kampala to support her family and is happy. Women and their families are better off financially after becoming part of a talk therapy group. The benefits of StrongMinds’ programs are far-reaching. Once free of their symptoms of depression, participants eat better, are physically healthier, take better care of their children, and are more adept at seeking help in other areas of their lives. 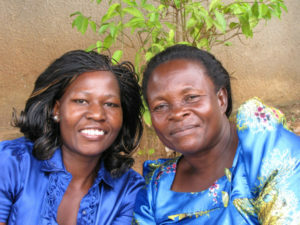 Christine’s (pictured above on left) participation in a StrongMinds talk therapy group and recovery from severe depression strengthened her ability to be a good mother to her youngest daughter Josephine (pictured above on right). An entire family benefits when a woman is no longer depressed. From 2014 through 2015, StrongMinds implemented a two-phase pilot using group talk therapy for groups of 10 to 12 women. In Phase Two of the pilot, StrongMinds shortened the treatment period to 12 weeks. 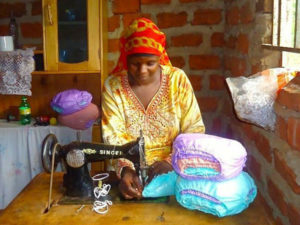 With a staff of six Ugandans — a country director, one mental health supervisor and four group facilitators — we treated a total of 514 women suffering from depression in the impoverished communities of Kampala, the capital city of Uganda. The program exceeded our expectations: Between 94 and 97 percent of the women treated reported a significant reduction in symptoms despite the reduced number of sessions. StrongMinds group talk therapy has lasting impact. Six- and eight-month post assessments show that three quarters of women remain free of their symptoms of depression. StrongMinds Therapy Group’s benefits are far-reaching. Once free of their symptoms of depression, participants eat better, are physically healthier, take better care of their children, and are more adept at seeking help in other areas of their lives. In late 2016, StrongMinds engaged an external team of data collectors to follow up with the very first patients treated by the organization, in 2014 and early 2015. Our goal in revisiting these patients was to understand how they are faring 18 and 24 months after StrongMinds’ therapy ended, both in terms of their mental health/depression status, and their overall well-being and the well-being of their families. This analysis is now complete and the overall results are encouraging. At 18 and 24 months post-treatment, more than two thirds of the women retained their depression-free status. The majority of women reported that they still meet with the groups formed through the StrongMinds therapy. They also reported improved focus, employment, job performance and attendance, as well as social connections at follow up. However, the average woman also reported decreased income and savings, and a reversion to baseline levels of nutrition intake for women and household members. This is probably a result of recent financial challenges in Uganda. During 2015 and 2016, the Uganda shilling depreciated 50% against the dollar. In addition, food costs continued to rise over this period with an annual inflation rate of over 16%. You can read the detailed report here.